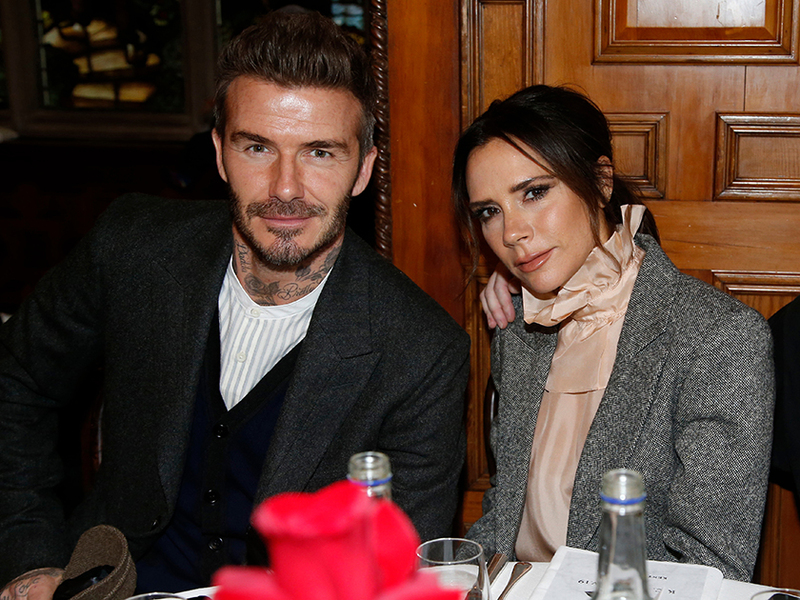 David Beckham is a pro when it comes to sharing sweet snaps of his family on Instagram. And the football star has done it once again today as he’s treated fans to a glimpse into an afternoon he spent with his parents. 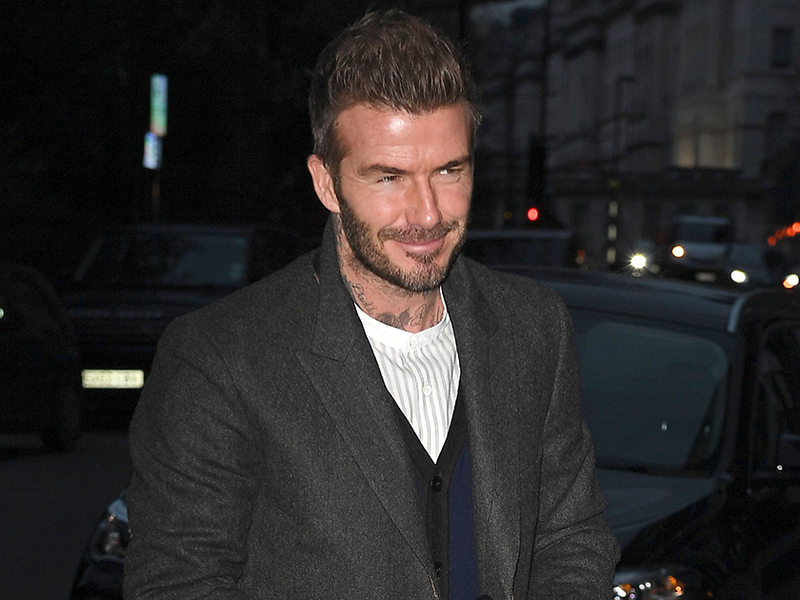 In the pic, the 44-year-old can be seen cuddling up to mum Sandra, and dad David as they went to watch Becks’ old team Manchester United play Arsenal in the FA cup. Dad-of-four David – who shares kids Brooklyn, 19, Romeo, 16, Cruz, 13 and seven-year-old Harper with wife Victoria – is wearing a black shirt and blazer along with a pair of casual jeans and boots. Finishing the look off with his classic flat cap, the star has a huge smile on his face as he poses alongside his equally-happy mum and dad. And there’s no wonder they all look so excited, as Man U managed to beat Arsenal 3-1 at Emirates Stadium. ‘Nice dinner with mum & dad plus watching United win again last night @manchesterunited 🔴⚪️⚫️,’ David wrote alongside the snap. But as well as commenting how adorable the sweet moment is, fans couldn’t help but notice something unusual in the former England captain’s hand – he seems to be holding a sticker book. ‘Love this! ❤️ but who was the sticker book for?? 😁😁,’ commented one follower. ‘Good to see you brought your sticker book with you @davidbeckham 😂😂😂,’ joked a third. Although David could have been saving the book for a little bit of half-time entertainment, we reckon it’s more likely he was joined by one of his younger kids on the family day out. 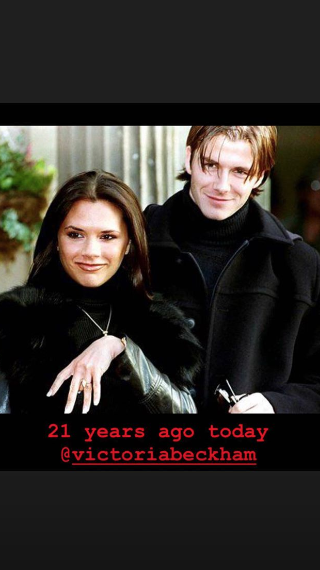 Meanwhile, this isn’t the only sweet snap Becks has shared this week, as he also took to Insta with an epic throwback photo next to Victoria, 44, yesterday. Reminiscing the day the pair announced their engagement, the star simply wrote: ‘21 years ago today’. AW!